Their name and year was engraved on the cane and given to them to thank them for the work accomplished at College Royal weekend. 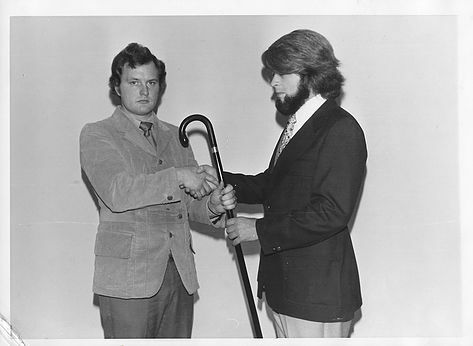 Here is a picture of Dwight Karren ( on the left ) presenting the Royal President’s cane to Tom Fahey, President of the ‘72 Royal. The next picture shows the cane which is engraved with the name and date. 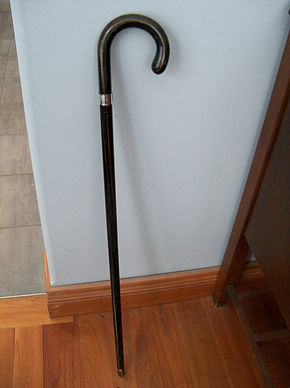 Do you know someone else that got a cane or did you get a cane yourself? If so please send a picture to the webmaster, bethmweir@gmail.com .